“In May 2007, BBC world was making a programme called Climate Watch where they were collecting information on the impact of global warming on local population and destinations in different parts of the world, including India. They got in touch with us and told us they wanted to document the impact of global warming on the river Nila (Bharatapuzha) in central Kerala. The river had by then started gaining international attention following our campaign to highlight this unique river valley civilization being destroyed through human greed. Bharatapuzha, otherwise poetically called Nila, is the longest river in the Indian State of Kerala. Kerala has a unique network of 44 rivers in a land that is just 580km long where the average width comes to about 50kms. 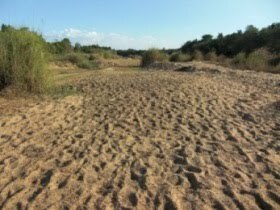 The river Nila is dammed in many locations; rivulets and streams flowing into the river have dried up because of various construction activities and lifestyle changes."